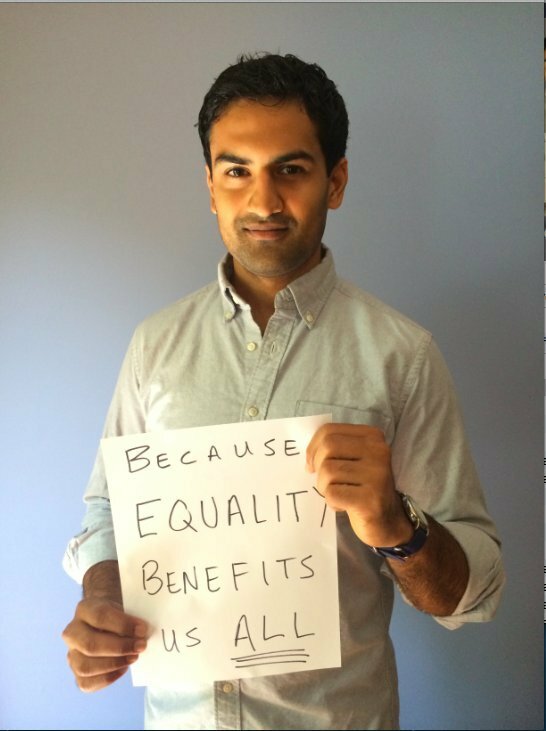 All men can support women and fight to end inequality, and a new hashtag is an inspiring look at the guys out there doing so. 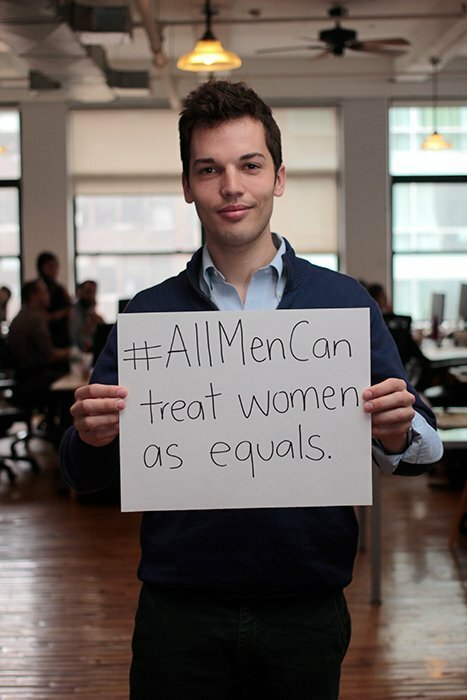 Driven by the response to the #YesAllWomen hashtag, PolicyMic editor Elizabeth Plank asked men to share their thoughts about what it means to be a man and a feminist using the hashtag #AllMenCan. 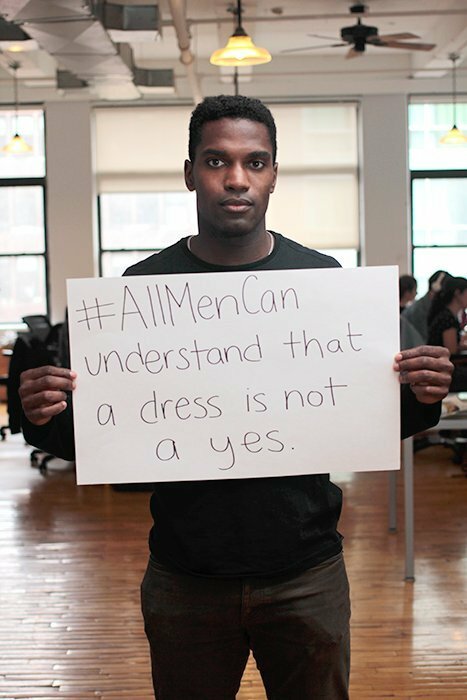 #AllMenCan understand that a dress is not a yes. Women don't owe you anything. 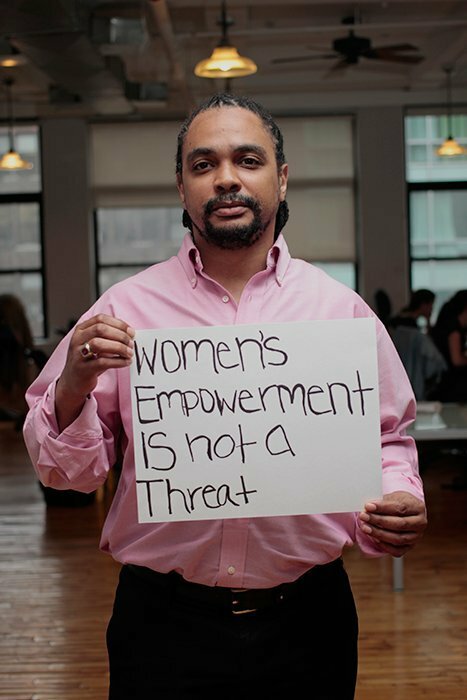 While much has been made of Men's Rights Activists given the potentially misogynistic motivations for the Isla Vista killing spree, the PolicyMic images, along with those submitted by other Twitter users, show what "real" men's activists look like. Check out some of the images below, and follow the hashtag on Twitter or Tumblr.